Fergus McNeill has been creating computer games since the early eighties, when he started writing interactive fiction titles. Over the following years he became well-known in the industry, both for his own content, and his adaptations of other authors material, including working with Terry Pratchett to create the first Discworld game. 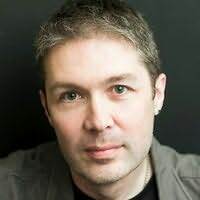 Moving from interactive fiction to interactive movie adaptations, Fergus set up and managed the development studio for SCi (now Eidos) where he co-wrote and directed voiceover scripts for a number of games including the award-winning Kingdom O Magic. Now CEO at an iPhone game development studio, Fergus lives in Hampshire. He is 43, married, with a teenage son. Eye Contact is his debut novel, and the first of a three-book series. "A deliciously dark thriller with a shocking secret at its heart."